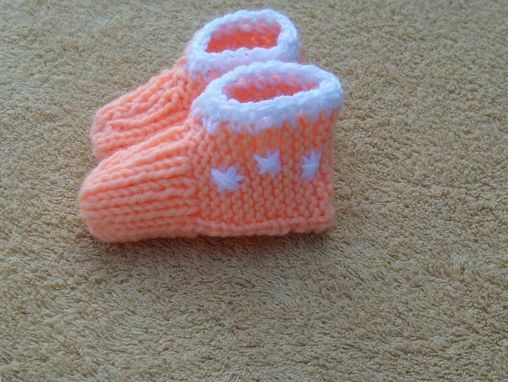 Yarncoture brings to you this peachy and creamy pair of knitted baby slippers! 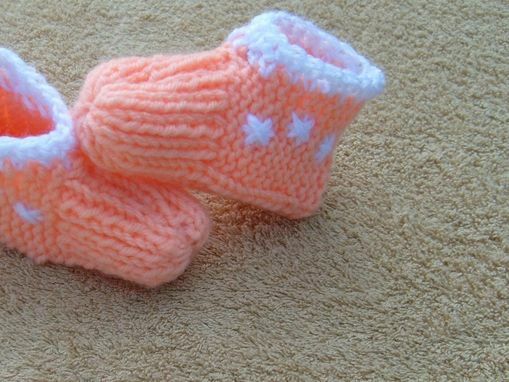 The slippers are kitted in peach and trimmed and embroidered with baby soft white acrylic yarn. 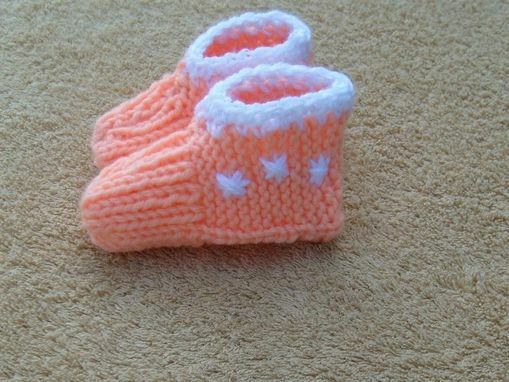 These cute slippers will fit sizes 3 to 6 months or even up to 9 months depending on your baby's shoe size. These are just perfect for your baby to romp around in or for a special gift! Machine wash gentle cycle, lay flat to dry.